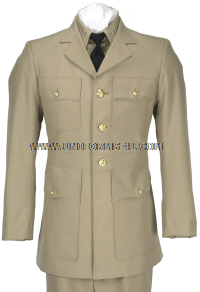 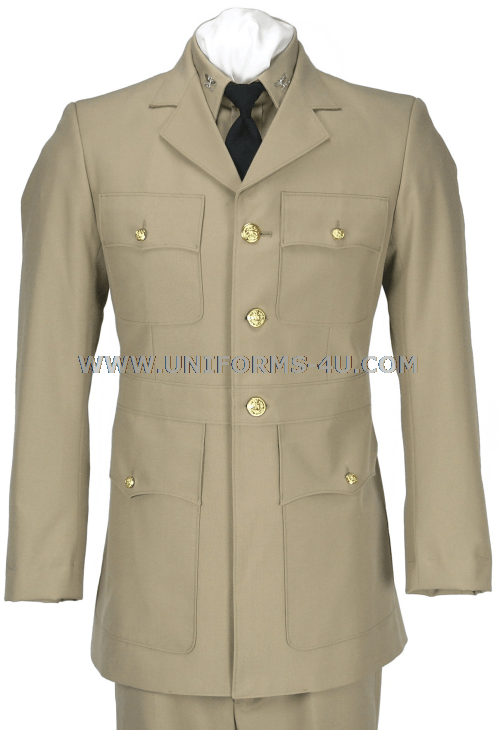 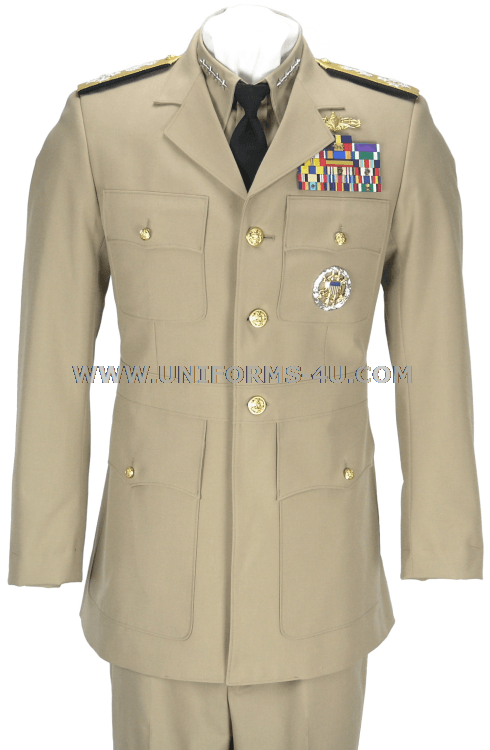 US Navy Male Service Dress Khaki (SDK) Jacket, worn by Officers and Chief Petty Officers. 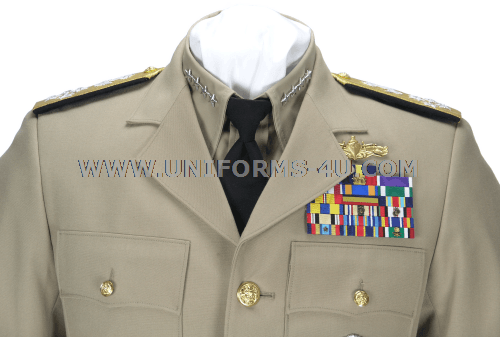 Shoulder loops are included but not attached. 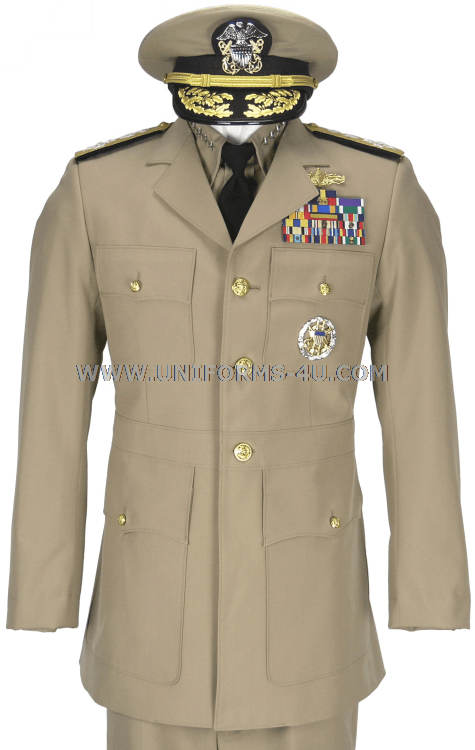 Officers will need to sew the loops to slide the Hard Shoulder boards. 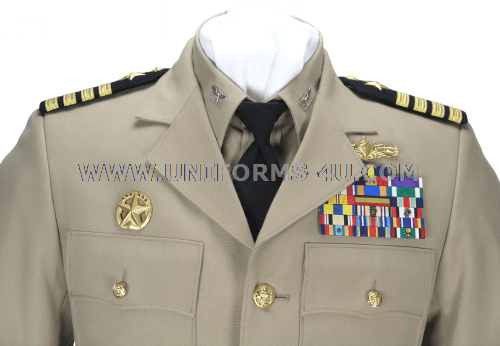 CPOs sew the rating badges.